Looks like the Mountaineers have found their quarterback. 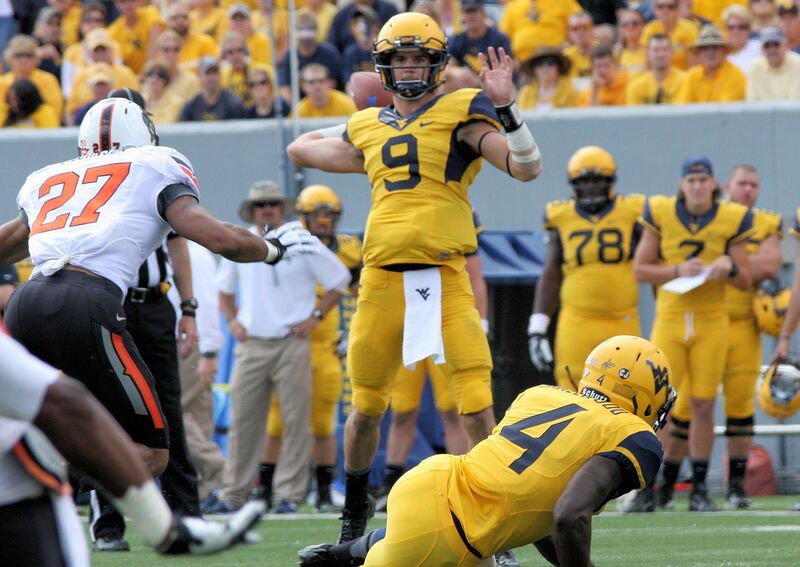 Clint Trickett wasn’t single-handedly responsible for West Virginia’s rather stunning 30-21 upset of No. 11 Oklahoma State Saturday afternoon. That should be rather apparent. West Virginia’s defense, after all, was little short of spectacular. A unit that a year ago couldn’t stop anyone from doing what they wanted on Saturday stopped one of the Big 12’s best offenses from doing almost anything at all that it wanted. Still, it is hard to ignore the impact Trickett had in his first – and much-awaited – real opportunity to play since transferring from Florida State this summer. And it wasn’t just with his passes or his runs or his reads. It was, as much as anything else, with his attitude.